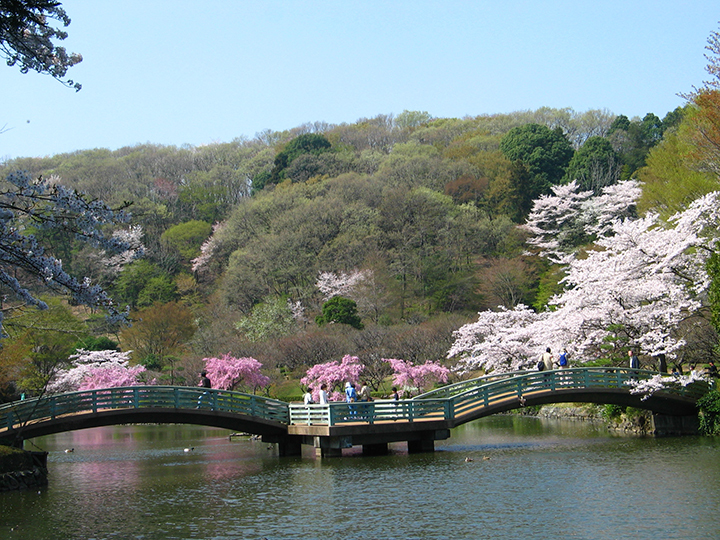 Machida Yakushi-ike Park is selected as one of Japan's top 100 historical parks. With Yakushi-ike Pond located at the center, the park has trees and flowers that bloom in all four seasons, including plums, cherries, young leaves, Japanese irises, hydrangeas, and Japanese maples. There are also two old folk houses dating back to the Edo Period (1603-1868), and Manyo Flower Field. The park is popular among overseas as well as Japanese visitors.